When I think about my favorite bassists (and I seem to have many these days), it’s more than their rich tones and digital dexterity that wins me over. My favorite bassists, at least those playing upright double bass, are also dancers. Their sound seems to come as much from a physical bond with the instrument as a musical one, a partnership that reflects a mutual choreography. Bassists tend to hug and caress their instrument as much as pluck and bow, sometimes swaying or twisting as if on a dance floor. We were treated not only to a mesmerizing two hours of stunning improvisation and group collaboration, we also witnessed the most joyful interaction between artist and instrument. 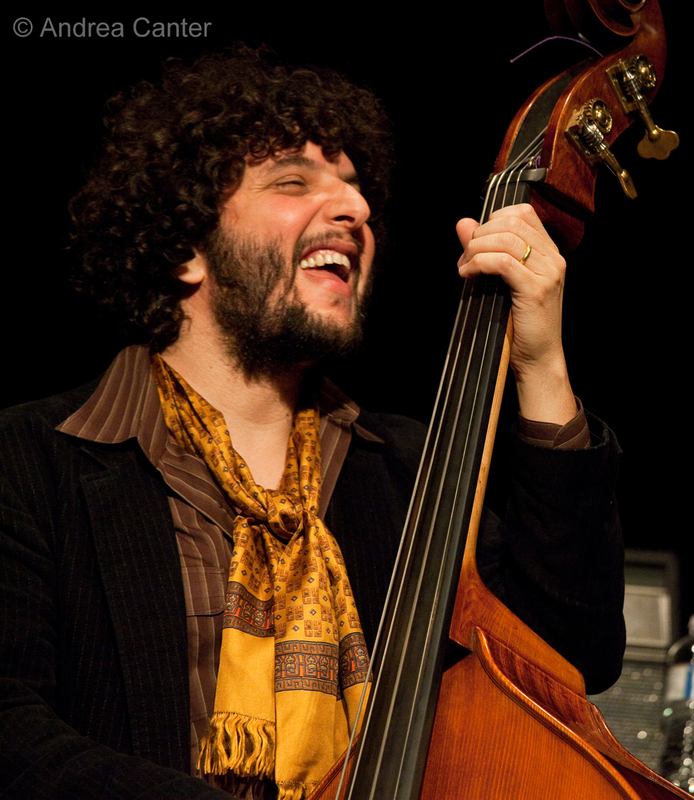 Avital shows no restraint in his love of his bass, and he literally dances on stage, his fingers flying across the strings while his entire body twists and turns as if coaxing more and more sound, not only from his bass, but from his cohorts as well. 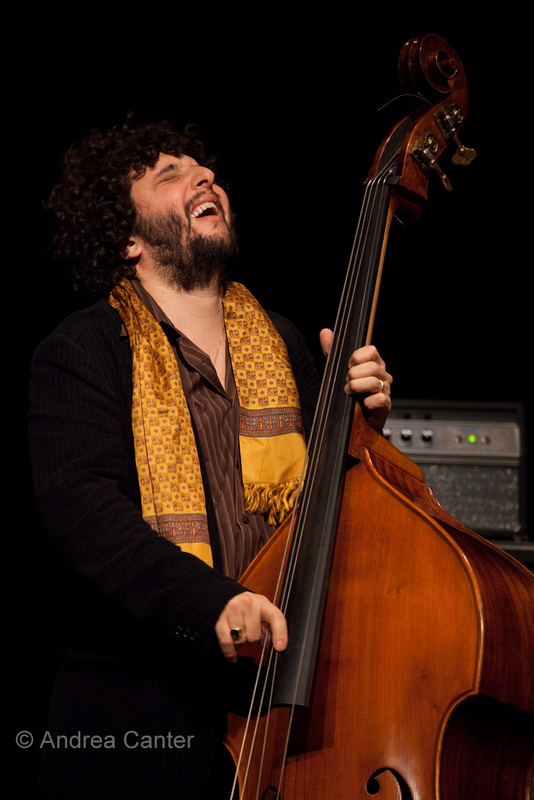 If there is a true klezmorim in jazz, his name is Omer Avital. Every song is a dance in celebration of life.